I think the blade will not move and it is easy to use. I could cut easily without putting more power than I thought. This review is about item#5842907. It is good usability as expected. I can solve the mail without hurting, so I think that it should be used at the post office nationwide. It's cheap and easy to use. Also, it is saved because the blade can be replaced. 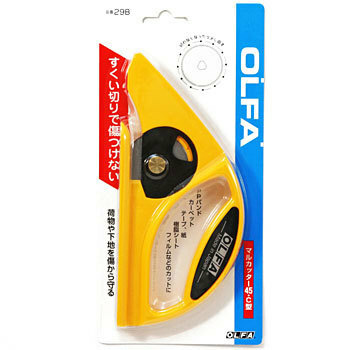 I was looking for a cutter that can be cut safely even for people with disabilities. It is safe. This review is about item#05842907.